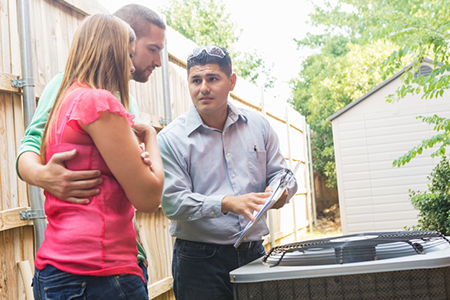 Ask the Expert: What Advice Do You Have for Homebuyers Forgoing a Home Inspection? Q: What advice do you have for those thinking of buying a home without waiting for a home inspection? A: As housing markets continue to heat up, many buyers are forgoing the important step of getting a home inspection. While this isn’t a widespread phenomenon, it can easily occur when a particular market heats up. In fact, when a market gets hot, buyers are afraid that if they put in an offer contingent on the outcome of a home inspection, they may lose the home to others who are willing to take the risk of buying the home without that contingency. While some have been able to dodge the bullet, others have purchased homes without inspections, only to find that there are thousands of dollars in repairs needed. In fact, a recent home inspection revealed a crack in the cement floor of a garage attached to a home. While the crack appeared to be tiny, the home inspector later revealed that it was there as a result of a giant oak tree next to the garage. The roots were so huge that the floor would eventually be broken by the tree’s growth. By removing the tree, the cost was only a few hundred dollars; however, the inspector noted that five years down the road, the entire garage floor would have needed to be jackhammered and replaced, costing thousands. Understanding the importance of home inspections, many of our franchisees offer an immediate post-closing inspection for the sake of catching items that, while small at the moment, can grow into something very large and costly.